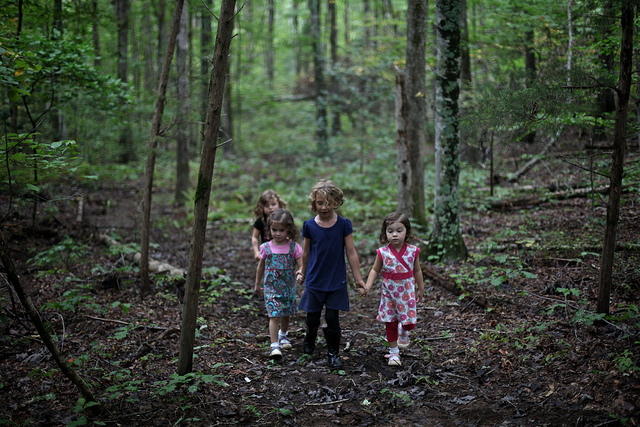 Playing outside refreshes, invigorates, and entertains kids. I know my kids and I have fun and feel less stressed after we spend time playing outside. Because nature's so beneficial, I follow several outdoor and nature play advocates on Twitter. They encourage kids and families to play outdoors more often and enjoy the numerous benefits of nature. You may wish to follow them, too! 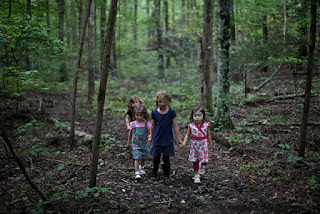 The Children & Nature Network believes that nature play is important for kids around the globe. That's why their Twitter feed provides fantastic resources for parents, educators, and kids about why everyone should play more outdoors. Access this resource as you connect with nature and other families and play more! The National Wildlife Federation focuses primarily on nature and animals. However, when you read its Twitter feed, you'll find a variety of information about hiking, camping, outdoor play safety, and other nature activities. Its tweets also inspire educators to incorporate nature and outdoor activities into the curriculum and teach kids about conservation. Read engaging info about play for kids and parents when you follow Debi Huang. You'll also get travel tips that help you play more as you explore local and not-so-local destinations. While her tweets are designed to introduce families in the Los Angeles area to the great outdoors, they're useful no matter where you live. Canadian mom Monica is passionate about the outdoors and believes that every person should combat "nature deficit disorder" by spending time each day outside. Her Twitter feed includes tips, tricks, anecdotes, and reviews about hiking with her baby, husband, and dog. You'll discover something new and be motivated to play more outside as you follow her adventures. The Australian health initiative started by Bluearth strives to get people moving. It offers tips and activities that promote physical literacy and combat the negative health effects of a sedentary lifestyle. Get inspired to move more and have fun when you follow Bluearth. Find a nearby park, plan your next family vacation, or explore the great outdoors when you follow the National Park Service. Its feed includes useful information for families, educators, and anyone interested in connecting with nature, including details about the Every Kid in a Park pass that gives fourth-grade students free access to parks. Early childhood is a time when kids are developing quickly. They're also filled with energy. Enter the early play blog. Here, you'll find educational and entertaining activities for young kids, families, and parents as well as encouragement to get outside and play more. Also known as the Grass Stain Guru, Bethe writes primarily about the power of play, nature, and laughter. Check out the interview she did with us, and learn more about the importance of unplugged play and other outdoor childhood fun. The U.S. Forest Service protects and manages national forests and grasslands. It uses Twitter to discuss outdoor education topics, ways to improve wildlife and urban areas, and conservation tips. Your family can learn how to enjoy nature and keep it accessible for generations thanks to the Forest Service. These nine voices for outdoor and nature play use Twitter to encourage play. I appreciate their contributions and am privileged to share them with you as you incorporate more outdoor play in your regular routine!